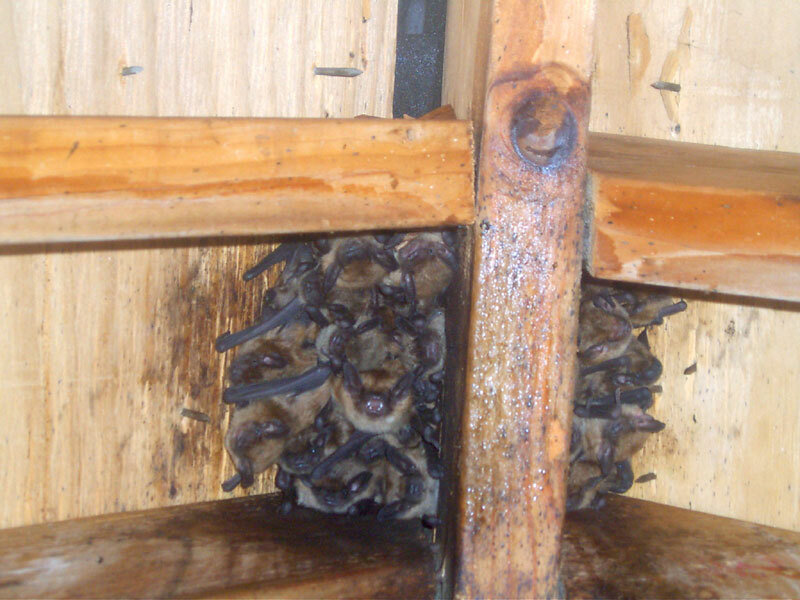 Precision Wildlife specializes in the removal of bats and bat colonies from residential homes and commercial buildings. Our technicians are trained to humanely remove bat colonies (large or small) from any type of home or structure where they may be unwanted. Under no circumstances are poisons or chemicals ever used or needed to properly eliminate a bat colony. What is a bat exclusion? A bat exclusion is a service provided to allow bat colonies to safely vacate a structure with no means of entering at secondary entry points. This is done by installing custom one way exclusion doors at precise locations on a structure, allowing the bat colony to leave with minimal alterations to their previous path. One way exclusion doors are installed at what are called the active areas of entry, of which multiple locations are normally determined. Just as important as exclusion doors, is the proper sealing of all possible secondary entry ways. Bats can have the ability to fit into 1/4" gaps in any particular structure and the avoidance of properly sealing these areas will lead to a failed or pointless exclusion. We do not offer partial exclusions on any particular structure just to get our foot in the door. We take great pride in the fact that we help our potential customers understand the process of a bat exclusion and why it is important to do it right the first time. First, one of our bat specialists must do an inspection on the structure in question to understand the magnitude of the bat problem and the extent of its solution. Upon this inspection customers can ask about the bat exclusion process used by Precision and any other aspect of our bat removal and exclusion process. You will also be presented with a complete description of our services including costs and warranty lengths. Day one of our exclusion process involves the installation of our custom one way exclusionary doors made specifically for certain areas of the bats entry. We also seal all possible secondary entry ways and inspect the entire structure to be certain no further infestations can take place. 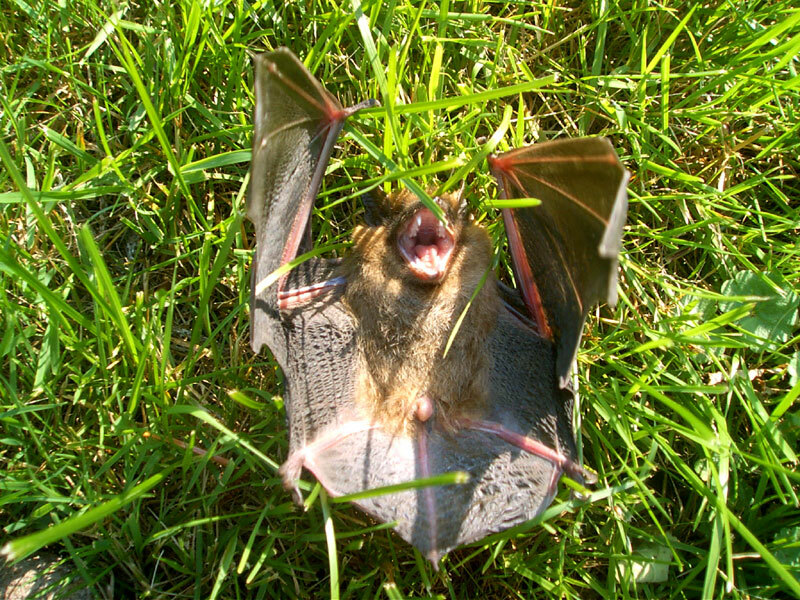 Bat exclusions are the most detail oriented aspect of nuisance wildlife control because of the small gaps that colonies can enter. *During the active months a bat colony will normally exit the structure within the first or second night after our service is performed. Active months run from mid to late spring into the early to mid fall but changes in our inconsistent transfer from season to season play a role in their activity and birthing season. *During the inactive months mainly big brown bats will hibernate in attics, but it is not uncommon to come across little browns as well. Exclusion work can be performed during inactive months but the bats will not exit until mid to late spring. Day two of our exclusion process involves the removal of all one way exclusion doors and the sealing of those areas, sealing will remain similar to previously repaired secondary entry ways that were sealed on day one. Our technicians will use a combination of materials on a bat exclusion normally including: hardware screen, caulking, flashing, and foam. We decide these materials by understanding what will last the longest under normal weather conditions. Our workmanship is discreet and professional, we also offer more extensive repairs to residential homes if needed to help maintain a bat free environment and help validate warranties. .